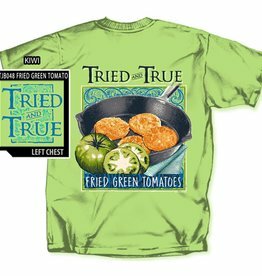 Fried green tomatoes is a southern cuisine delicacy. It also makes a fun, decorative t-shirt graphic. This is one of our most popular graphics printed on a soft, garment-dye Comfort Colors t-shirt.